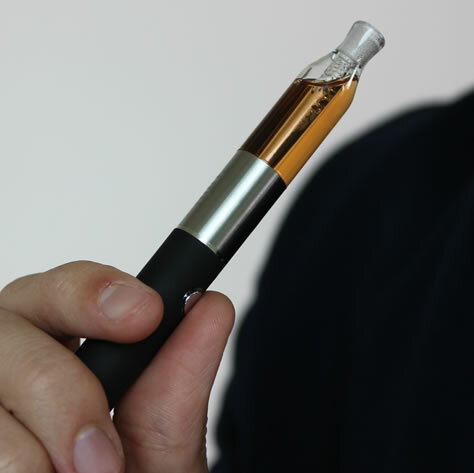 A vape pen (or “vaporizer pen”) is a small, cylindrical-shaped device that uses vaping technology to replicate the smoking experience (more on that later). 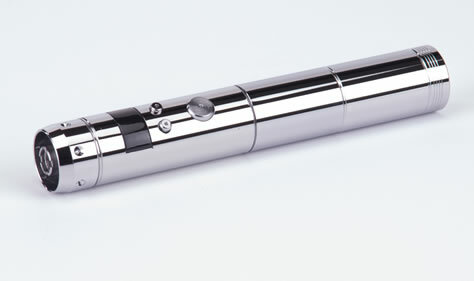 This type of vaporizing device is typically slightly larger, circumference-wise that a cigarette or the the average ball point pen, but is still small enough to fit easily in the palm of the hand. Vape pens are often stylized to resemble pens, which is why they have come to be called “vape pens.” This design, plus their small size makes them very discreet. The can easily be placed in a pocket and no one can tell it’s there. The vape pen has an intriguing and surprising history, including its origin, which was not the mid-2000’s as many consumers assume. Inventor Herbert A. Gilbert﻿﻿ is the first person known to have conceived of the idea of a smoking device that eliminated the smoke produced by regular cigarettes. It was the 1960s, and it was only in the previous two decades that research was beginning to confirm that cigarette smoking can result in cancer, as well as a range of other diseases. 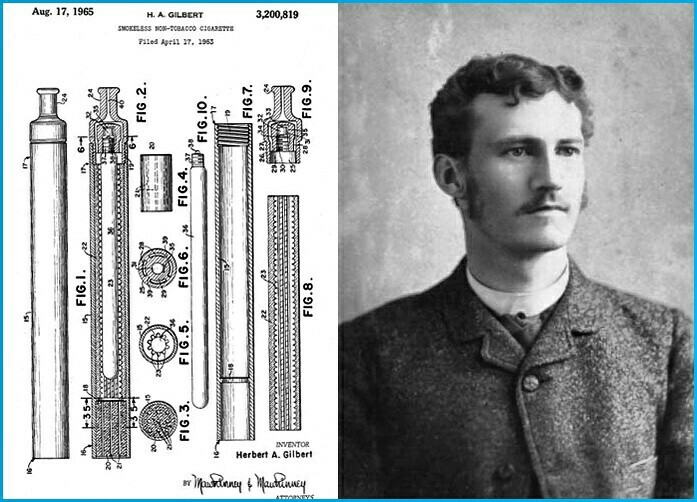 Gilbert’s idea was to create a device that produced vapor that could deliver the nicotine smokers wanted, but without all of the other questionable elements present in cigarette smoke, elements that were not even all known and understood at the time. 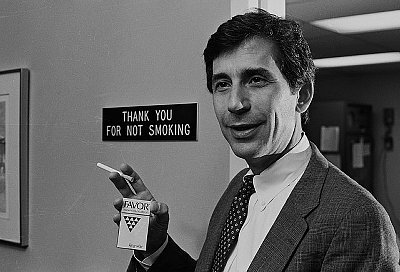 Gilbert patented the first electronic cigarette in 1963. For whatever the reason, Gilbert’s invention never gained any momentum. It’s possible that the possible mass production of a smokeless cigarette was squelched by the cigarette-manufacturing industry, which was already involved in denying and trying to cover up the information emerging on the negative health ramifications of smoking cigarettes. Nothing more was heard of the possible invention of a mass-produced smokeless cigarette for two more decades. Then, in the 1980s, a man named Phil Ray (who just so happened to be the inventor of the first microprocessor) enters the picture. A heavy smoker, he was desperately trying to quit, and wondered if smoking device that produced vapor instead of smoke might hold the answer to his problems. He proceeded to build his own “electronic cigarette,” a device that delivered pure nicotine, and then took it to his doctor, Norman Jacobson. Jacobson was immediately intrigued by the prototype Ray had built. He felt the idea had merit and great potential, and so he set about studying the device, publishing his findings along the way. Dr. Jacobson is credited with first coining the term “vaping” (short for “vaporizing”). However, once again, the idea would not come to fruition. 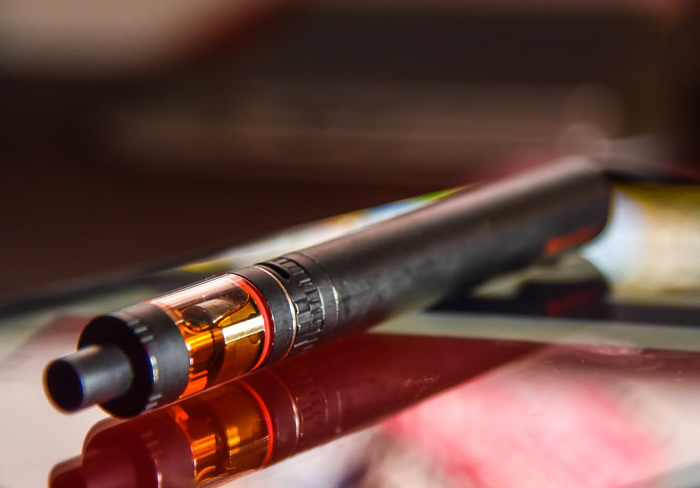 As it turned out, the FDA prohibited the sale of electronic cigarettes. The e-cig would again fade out in the US for several more years. Then, in the 1990s, a Cherokee medicine man from the United States named “Eagle” Bill Amato invented a vaporizer for smoking dried herb. Though it couldn’t legally be sold in the US at the time, it took off in Europe. 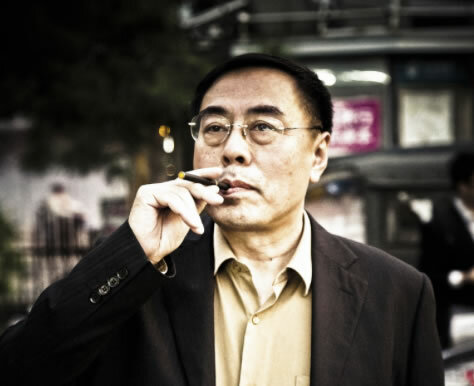 It wasn’t until a Chinese pharmacist named Hon Lik invented the contemporary electronic cigarette in 2003 that the United States sat up and took notice. A Chinese company began manufacturing and distributing “e-cigarettes” in Europe and then, when the FDA finally lifted the ban on the sale of vaporizers, in the US. America’s first vape shops began popping up in 2006. Rare at first, now there are vape shops everywhere. Even the smallest of towns have at least one. What Hon Lik invented was more like a cigarette and was even designed to look just like a regular cigarette. However, they could not be refilled with liquid, and so the next generation of vaporizers went into production, devices that were just slightly bigger than the “e-cig” but could be refilled and reused. For the sake of discretion (because vaping was still largely a questionable practice among the general population), they were designed to look like pens, thus acquiring the name “vapor pen” or “vape pen.” Subsequent generations of personal vaporizers have been developed, and now vapes come in a variety of shapes and sizes, including novelty designs. However, the vape pen is still the most popular personal vaporizer on the market today. *A heating element or atomizer: This is the part that creates the heat which transforms your product into a vapor. The heating element may be either conduction or convection style. Conduction vaporizers transfer heat from the element to the product through direct contact. Convection vaporizers transfer heat to the product by passing hot air through the chamber rather than through direct contact. Both methods result in a vapor that can be inhaled by the user. Some heaters have adjustable temperature settings, others do not. *A chamber or tank. This is where you place the substance you are vaping. 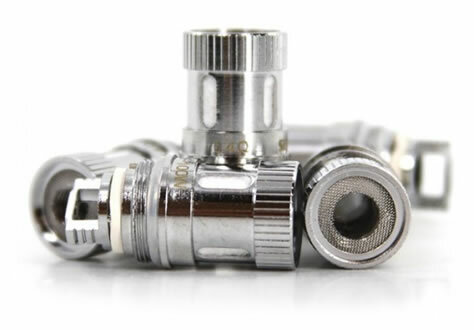 There are two major types of tanks: clearomizers and cartomizers (both are a type of atomizer). A clearomizer is a tank with the atomizer as a separate piece. A clearomizer is clear, so when you use it you can see exactly how much liquid is still in the tank. A cartomizer is opaque, so you can’t tell just by looking at it how much liquid it has inside. Like a clearomizer, a cartomizer also has an atomizer, but it isn’t a separate piece. *A battery: This is the part that produces the electricity needed to heat the element. *A sensor: This is the part that essentially tells the battery to create electricity to heat the element. The sensor is activated when you press the button (you may have to press more than once, depending on the model). Vape pens are usually made to vaporize only one type of substance. Some vaporize a liquid nicotine-containing substance (“e-liquid”), some are designed for dry herb and some are made for vaping with concentrates (waxes and oils). 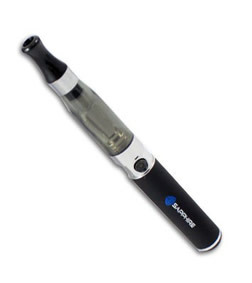 The type of vape pen most commonly used by people who are trying to quit smoking is the “e-liquid” type. E-liquid (short for “electronic” vaporizer liquid, also sometimes called “vape juice”) always consists of two basic ingredients: vegetable glycerin and propylene glycol. Vegetable glycerin (also sometimes referred to as “glycerol”) is a component that is extracted from plants. It has a sweet taste and has long been used in cosmetic products (particularly lip gloss and certain topical preparations) and some foods as a sweetener and a replacement for sugar. It is what gives vape juice its sweet taste. Propylene glycol also lowers the freezing temperature of liquids. However, unlike its ethylene cousin, propylene glycol is not toxic to humans unless consumed in very large quantities within a very brief period of time. It is used in many food products as well as pharmaceuticals. Propylene glycol appears on the FDA’s list of ingredients that are “generally recognized as safe” (GRAS). It is used in vape juice because of its low viscosity and ability to vaporize rapidly. E juice may also contain nicotine, although there are nicotine-free varieties too. Additionally, there are different concentrations of nicotine in different e juices. The idea is that a smoker can wean himself off of smoking cigarettes by switching to a personal vaporizer with e liquid, gradually reducing the concentration of nicotine until he is able to break the nicotine addiction altogether. This way, he can avoid all of the ingredients found in cigarettes, such as tar, carbon monoxide, formaldehyde, etc. Most e liquids contain one final ingredient: flavoring. Vape juice is available in hundreds of different flavors, another thing that makes vaping so appealing. Every flavoring is made of different ingredients and no two are exactly the same. Vape pens and vaporizers in general have come a long way since they first exploded onto the market in 2006. One of the biggest problems with early vape pens is that they literally exploded. 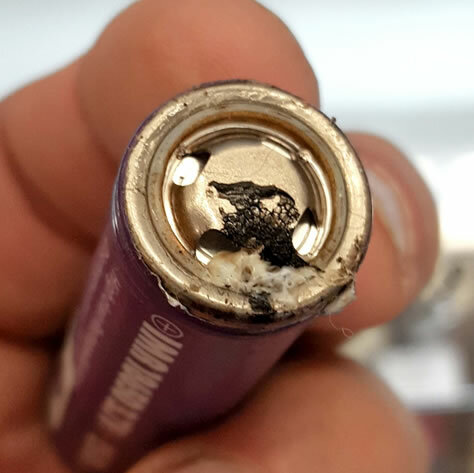 Reports of exploding vapes began emerging within months of their release and although uncommon when compared to the overall rate of vape use, exploding vaporizers are a major concern simply because of their great potential for causing personal injury and damage to property. The manufacturing of vaporizers was loosely controlled in the early years. Naturally, with the passage of time and increasing use, more was learned about safe vaping and consumers became much more aware of best vaping practice. As such, more safety standards are in place today. Additionally, there are more vape manufacturers now and, as such, more competition. Because competition is so tight, manufacturers cannot afford bad publicity relating to exploding vapes. For this reason, manufacturers have become better at self-regulation when it comes to safety, and are building better-quality products as a result. Consumer awareness has also improved dramatically, and vape users of today are much more educated and discriminating than the ones of 2006. In spite of all this, vape explosions do still occur. There is speculation that actual occurrences of explosions may be under-reported in the media simply because some might be considered too “minor” to be newsworthy, even though injury or damage may have occurred. However, it is believed that a majority of these accidents are the result of improper usage and storage practices by the person using the device. Additionally, a small percentage can likely be attributed to the problems that are simply inherent with the lithium batteries used to power these devices. Manufacturing defects that lead to explosions do happen occasionally, but are very rare. *The battery is left uncovered in the device. *Improper charging (not following manufacturer’s instructions for charging). *Spare batteries were being carried in a pocket. Exposed batteries that come into contact with other items like coins or car keys may explode due to scratching. Batteries may leak and are more likely to explode when this happens. It is also speculated that batteries carried in a pocket on a hot day may explode simply due to overheating. *Batteries carried in a pocket which are subjected to any of the above conditions may not explode inside the pocket, but may do so later when plugged in for charging. *Rarely, batteries may explode or catch fire due to manufacturer defect or because they have been cheaply or poorly-made. *Battery type and quality. Higher quality batteries are not only safer, they last longer too. *Material quality. As smoking devices go, vapes are the worst ones to cheap out on. If you purchase a cheap bong made of low-quality glass, the worst that is likely to happen is that it breaks and you lose whatever you paid for the device, or you end up with minor burns on your fingers from touching hot glass. On the other hand, if you cheap out on a vape made with inferior materials, you could end up with second or third degree burns, permanent disfigurement and an expensive hospital bill. Opt for vapes made of high quality materials, even if it costs you more. *Don't buy cheap vapes online from questionable sources. If you do order online, purchase only from US retailers since they must adhere to higher safety standards. Avoid buying directly from countries like China which are notorious for poor-quality materials, cheap workmanship, little regulation and no requirement to meet US safety standards. *Buy from dealers who guarantee their products. A dealer isn't going to guarantee a product it knows to be unsafe. Safe vaping isn't all on the seller. The user also has a responsibility to adhere to best vaping practice. This starts with reading the owner's manual carefully, from cover to cover. It probably sounds like a gigantic pain, and many users don't bother to do this because it's time-consuming and they are anxious to start using their new device. However, almost every user-caused vaping accident results from improper use or storage, and the most common phrase heard from those accident victims is: “I just didn't know.” Use your device only as the manufacturer has instructed. Be extra vigilant when it comes to vape mods. Vape mods are feature-enhanced vaporizers. They are to vape pens what smartphones are to a regular phone. They have super-cool extra features like variable temperature control, interactive digital display, clocks, even Bluetooth compatibility so you can control your mod via app. Mods are fun to use, but they contain a whole lot of power confined to one tiny space. A mod is more likely to catch fire or explode than a regular vape pen, so all of the previous advice applies to mods, with an extra dose of care and attention. If you need another reason to quit smoking (besides the potential health benefits), vaping typically cost less than smoking cigarettes. In fact, it is estimated that the average smoker who switches to vaping saves about 40 percent annually. Of course, this number varies depending on your individual smoking/vaping habits, but a majority of users who quit using cigarettes and trade them in for vapes end up saving significant money. 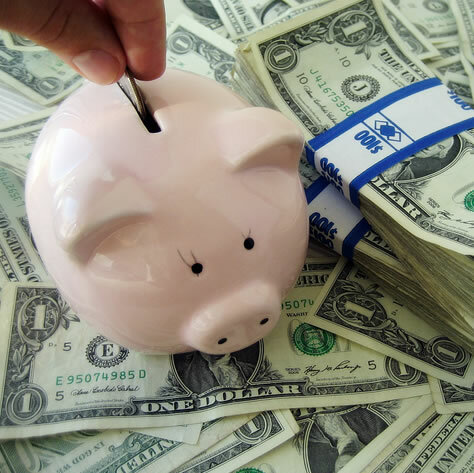 Of course, your overall savings will also depend on the specific vape pen that you select. Individual devices vary widely in price, from under ten dollars for a cheap one to hundreds of dollars for a high tech mod. As long as you buy from a reputable US dealer, even an inexpensive model should be safe for use (as long as you follow the instructions in the owner’s manual and adhere to safe vaping practices). However, a vape pen that costs under twenty dollars is not likely to last for very long and may have performance issues. Because prices vary so widely, it’s difficult to pinpoint an “average” price for a vape pen. However, a ballpark figure for a vape pen that isn’t going to break in a month, won’t catch fire in your pocket, and provides you with decent, consistent and reliable performance, you should expect to spend somewhere between $20 and $100. Here’s what we suggest: if you are new to vaping, start by searching for vape pens that are specific to what you want to smoke. For most of our readers, this is going to be an e-liquid model. (For now, avoid devices that are compatible with a variety of substances because they will cost more and a multiple-substance device simply isn’t necessary.) Check out a few different websites and look at the vape pens that fall in the middle of the price range for each site you look at. These mid-priced models are probably the best in terms of good quality and reliable performance without a bunch of bells and whistles that you don’t really need (at least not in the beginning) but which will cost you more. If you choose a base model in the lower end of the $50 to $100 range, you’ll probably be happy with your purchase. Another option for new vapers is to go for a cheaper base model (between $20 and $50) with the idea that you’ll try it out for a couple of months. It will take about that long to get a good feel for the habit and then you’ll have a clearer idea what you like and don’t like about your device. Then, if you want, you can upgrade to a fancier, more expensive model. When the average person thinks of a vaporizer, they think of the pen or other-shape device that takes e-liquid and transforms it into a vapor. However, there are also vaporizers that are designed to atomize other substances, like wax (sometimes referred to as “dabs”). For the most part, wax pens and e-liquid vape pens are very similar, at least in that they all have those same basic parts in common as described earlier, namely a heating chamber, a battery and a sensor. The major difference lies in the part that the substance being vaped is applied to. Wax/dabs are waxy substances derived from herbs by extracting specific elements or chemicals from the herb. These waxes are then “dabbed” onto a wax vaporizer or “wax pen.” Specifically, it is dabbed directly onto a heated coil, where it melts and drips through the coils into wicking material underneath (the conduction method of heating). This, then, produces the vapor that is inhaled. This is different from a vape pen system, where the liquid is heated convection style. That is, the liquid does not come into direct contact with the heating coils. Nowadays, vape pens are being made with parts that can be swapped in and out so that you can use the same device to vape both waxes and e-juices. If this is your first foray into the world of vape pens, or you’re a regular vaper looking to try something different or step up to something more deluxe, this list is a great place to start. We’ve chosen our top ten vape pens based on their performance, quality and overall value. We have really fallen in love with the idea of quitting smoking together, and this vape kit is absolutely perfect for getting started. 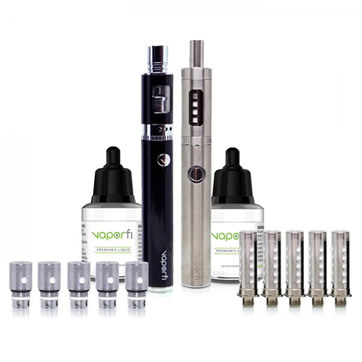 This kit comes with two VaporFi Pro 3 vape pens (one silver, one black) with tanks and batteries, three types of atomizers (total of 13 atomizer units), spare O-rings, two bottles of custom-blended e-liquid, two micro USB cables, two universal wall adapters and two user manuals. *Custom-blended e-juice: We like the fact that both of you get to create your own custom-blended juice, but you don’t have to share one bottle. Choose from 70% PG/ 30% VG, 50% PG/ 50% VG or MAX VG. 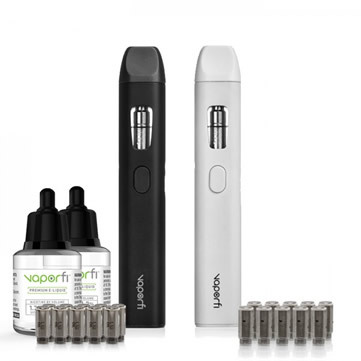 *There are so many extra accessories included: If you were to purchase every single accessory in this kit plus the two vapes as individual pieces, you would be spending significantly more than the $139.99 price tag (when purchased from VaporFi.com) for the whole kit. In fact, you might even spend double, so this kit provides amazing value-per-dollar. *You get both a wall charger and a USB charger. Two of each, actually: one for each of you. *It has a no-spill coil swap system. No messes, no lost product! *The batteries have overcharge protection. *The pens come with larger-than-average capacity tanks (2.5 ml). The Aspire Platinum Vaporizer Kit is an excellent step-up pen from a starter vape. It is outfitted with an Atlantis tank, known to be one of the top-quality tanks on the market, giving you the best of two worlds (rebuildable dripping atomizer and a clearomizer). 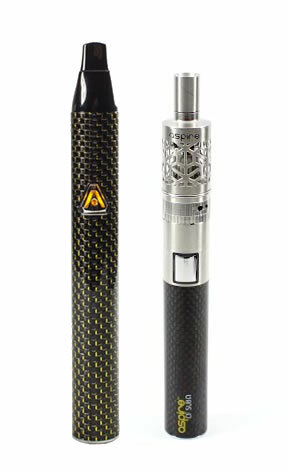 It also comes with a carbon fiber sub ohm battery, specially designed for low resistance vaping, and a USB charger. The bottom vertical coil (BVC) design of this vape pen produces an intense vapor that experienced vape users will appreciate. *Comes with a 90-day warranty. *Sub ohm battery voltage output of 4.2V and 2000mAh capacity, capable of handling an electric current up to a maximum of 40A (amps). *Kit comes with a replacement web tank. *Also comes with five replacement low resistance 0.5ohm atomizer heads. The KandyPens Special K Vaporizer is an excellent, low-risk investment for new and experienced vapers alike, thanks to its lifetime warranty. You know with this one that your investment is going to be protected and you’ll be able to rely on this sleek little vape pen to perform for a very long time. 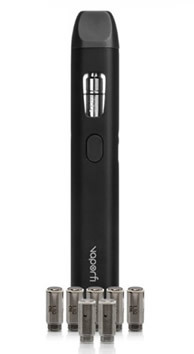 Its minimalist design makes it one of the most discreet vape pens you’ll ever find. You can carry it just like an ordinary ink pen and no one will ever suspect its true nature. You’ll be able to pull it out almost anywhere without attracting attention. *It has a low profile when it comes to design. Understated, yet classy. *Comes with two glass oil tanks. *Features a clear window so you can easily see how much oil is left inside. *The USB charger (included) attaches to the pen via 510 threading so you can charge it anywhere that has a USB or AC outlet, if you have an adaptor. The VaporFi Air 2 For Two Mini Vaporizer Bundle is a less expensive alternative to the more extensive VaporFi Couples Vape Starter Kit Bundle we highlighted in #1. For those who want to quit cigarettes together with their partner without spending over a hundred dollars, this little starter bundle is just perfect. 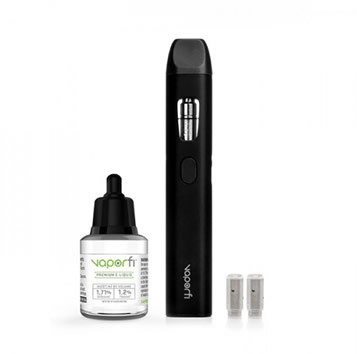 It comes with two VaporFi Air 2 vape pens, available in black or white. You also get both oil atomizers and e-liquid atomizers for greater flexibility in choosing the type of product you want to vape. Each e-liquid tank holds 1.4 ml of juice. With all of the accessories and extras that you get with this bundle, you’ll get excellent value for your dollars. *You can choose your own color. You can both get the same color or different colors. *Dual-use: you can vape both e-juice and oil concentrates. *You get two bottles of custom-blended e-juice. You can mix up to three different flavors. 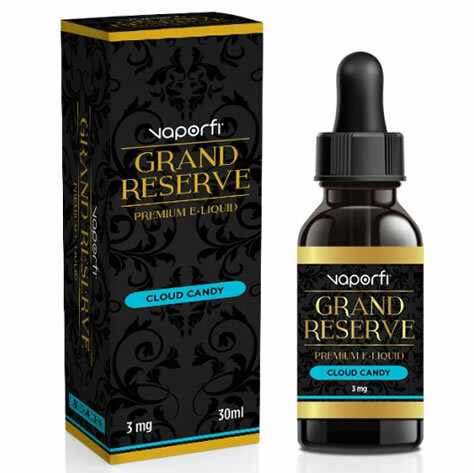 *Your choice of more than 75 different flavors in 70% PG/ 30% VG, 50% PG/ 50% VG or MAX VG. *Bottom feeding coil (BFC) design provides powerful flavor extraction. *Comes with two 5-packs of oil atomizers. *Comes with two replacement coils. *You get the option to purchase extra atomizers and/or oil atomizers for a reduced price. If you dislike constantly refilling your tank with e-juice, you’ll love the VaporFi Rocket 3 Starter Kit Bundle with its big, 3.5 ml tank capacity. In fact, every part of this vape pen has been designed to go further and last longer-than-average, including the coil. The 2500mAh battery can go longer without needing recharging and features three different variable wattage and temperature control modes. We highly recommend this starter kit for anyone who would rather spend less time on vape maintenance and more time actually vaping. *Top-fill tank that’s temperature-control compatible. *The tank is available in six different colors, including hard-to-find colors like purple and red. *Atomizer comes in 0.5 ohm or NI2100 0.1 ohm size. *You can custom blend your own juice with up to three different flavors in a single, double or triple shot. *Choose from over 75 flavors. *Comes with five additional Rocket 3 0.5 ohm atomizers. The four-port adjustable airflow system in the Nautilus Mini tank (2 ml capacity) in the Aspire Premium lets you customize your experience each and every time you vape. Increase or decrease your intake, make bigger clouds, or whatever else your mood or the situation calls for. Plus, its minimalist size makes it easy to install and refill and discreet to carry. 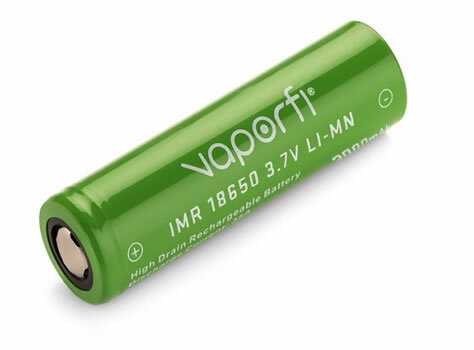 This vape is also outfitted with a flexible carbon fiber variable voltage battery with 3.3V-4.8V output, adjusting ideally to your circumstances with a simple twist of a rotary knob at the bottom of the battery. If you like robust vapor, this vape pen delivers at an exceptional price. *Unique four-port adjustable airflow system gives you greater control over your draw, vapor warmth and overall amount of your vapor. 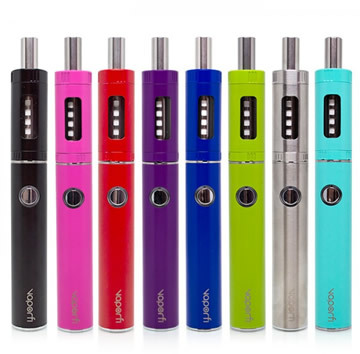 *The easy-adjust variable voltage battery means no more burnt taste. *The bottom vertical coil (BVC) design. *Comes with five replacement atomizers. *Clear tank lets you see how much liquid is inside. *Heats up in five seconds. 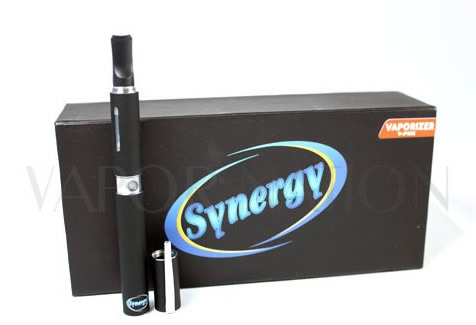 The Synergy V-Pen Vaporizer is perfect for anyone with commitment issues and doesn’t want to settle on just one type of product. This sleek and discreet little number packs 110 volts lets you vape whatever you’re in the mood for: e-juice, waxes or oils. Not only is it versatile, it’s only $79.99 when you purchase it from Vapornation.com. You get plenty of bang for your buck with this device. *Heats up in 5 seconds. *You get so many different vaping options in one device. *Comes with a magnetic case. *It also comes with a handy maintenance tool. *Includes two oil cans and one oil cartridge. *Reasonable price and great value for your dollar. The VaporFi Rebel 3 vape pen is the next generation of the Rebel 2, with upgrades and improvements that made this already cool pen even more impressive. With the Rebel 3 you get amazing power plus longevity (this vape will last you for years) and reliable performance. The body is made of strong and easy-clean stainless steel and is available in stainless steel or black finish. The Rebel 3 battery in this device features 3000mAh of power and heats your e-juice quickly and efficiently. The kit itself comes with so many extras that the $89.99 price tag is a real bargain and means that maintenance is easy. *The tank has HUGE e-liquid capacity: 5.8 ml! *Comes with a wall adapter for the USB charger so you can charge absolutely anywhere you’re at. *Also comes with five extra Rebel 3 atomizers. *It has adjustable airflow so you have total control over each and every vaping experience. *You get to customize your vape juice with up to three flavors in your mix. *Choose from more than 75 different flavors. When we saw what you get with the Vaporite Humite Mini Vaporizer, we were shocked that the price is less than $50. This vape pen is more than impressive. For one thing, it has a technologically-advanced oil tank that maximizes vapor so you get an amazing draw every single time. It also has wickless system that’s super-efficient. Perhaps the best thing of all about this pen is that it is Bluetooth-enabled so you can sync it with your smartphone and keep track of battery life, temperature and more.If you’re looking for your first vape, this model will give you more than you thought you could expect. *It’s available in four colors. *Comes with a lifetime limited warranty. *You have the option to purchase an extended two or three-year warranty or Vape Squad Lifetime Warranty for a very reasonable price. *It heats up in five seconds. *Comes with a 1300mah battery. *Also comes with two replacement coils. The Vaporite Volt Vaporizer is a mod pen with an uber-powerful 2200mah battery to power the heater. With the power bank that’s included with your purchase, you can actually use the Volt continuously for hours and still have plenty of power. To fill the ample tank, simply unscrew and pour. With the Vaporite Volt you get the best of both worlds: ease of use and extra power, all at a reasonable price. *Comes in five different colors. *It comes with a power bank to extend use of your vape. *Power bank has both USB and micro USB ports. *Comes with a lifetime warranty. *Lifetime Warranty at a very reasonable price. *Clear tank so you can see how much liquid is left inside. Quitting the cigarette habit doesn’t have to cost you an arm and a leg. Even smokers on a budget can afford these cheap vape pens, and don’t worry: you don’t have to sacrifice quality to save money. We’ve picked our top eight best cheap vape pens based on value for less money. The Cora Vaporizer is as thin as a flash drive and just a little bit longer, making it not only easy to carry around, but super stealthy and discreet too. Non-vapers will not even recognize it’s true identity. We love what you get for only $39.99 with this vape: uncomplicated design, sturdy build with zinc, carbon fiber and aluminum alloy construction, simple use and easy-to-fill coil pod and tank, plus a number of other features that you wouldn’t expect to find in a vape pen that costs less than $40. *Low-profile small sleek design. Looks like a flash drive. *Compatible with e-liquid and oil concentrates. *Single-button user interface (click five times to turn it on and hold the button down to heat). *Fast heat up time (five seconds). *Unique refillable cartridges that connect via a magnet, super-easy to just snap in and go. *Bottom magnet snaps into magnetized USB charger. *Comes with two silicone dropper joints. *Comes with a one-year warranty. *Option to purchase two or three-year extended warranty or Vape Squad Lifetime Warranty at a reasonable price. 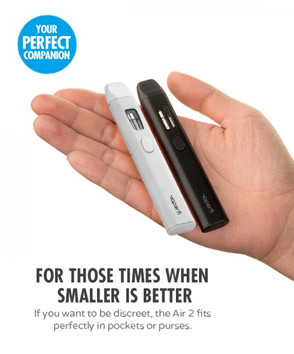 At 1.5 x 1.75 x 7 inches, this tiny device lets you vape on the down-low. Don’t mistake its diminutive size for wimpiness though. This vape is as tough as a rhinoceros and creates ample vapor for a satisfying user experience. What really sets this vape apart is the no-button system. Instead, you just place your finger over the sensor to activate. *Utilizes a touch-sensor system instead of buttons. Good for users with arthritis, carpal tunnel syndrome and other problems. *Fast heat-up, only five seconds. *Clear tank so you can see how much liquid is inside. *Comes with a three month warranty. Who would have believed that you could get a quality vaporizer plus all of these extras for only $34.99? There’s no catch with the VaporFi Air 2 Complete Mini Vaporizer Bundle though. This all-in-one bundle includes the VaporFi Air 2 vape pen, e-liquid, two extra atomizers and chargers for this amazingly-low price. *It comes with one 30 m. bottle of custom-blended e-liquid. You can mix up to three flavors in one bottle. *Choose from more than 75 different flavors with mixes of 70% PG/ 30% VG, 50% PG/ 50% VG or MAX VG. *You have the option to purchase an extra 5-pack of atomizers at a discounted price. *You can also opt to purchase a 5-pack of oil atomizers so you can vape both e-liquids and oils with one device. *Great choice for new vapers. You’ll really be able to express your individuality with the VaporFi Pro 3, since it comes in eight different colors, including colors that are hard to find in a vape, like pink, purple, green and teal. You can even choose your battery color from the same eight selections. The Pro 3 is the newest version of this particular vape, and it features advanced mouth-to-lung technology which more closely resembles the cigarette smoking experience, giving you even more motivation to quit the cigarette habit. *Bigger-than-average tank capacity (2.5), especially for a small device. *Also comes with a more powerful battery than you would expect to find in a low-cost vape (1000 mah). *Comes with a USB charger. *Kit also includes 4 O-rings and an extra atomizer plus USB charger. *Optional wall adapter is available. *Strong and heat-resistant Pyrex glass in tank. Go naked with the Buck Naked Plus Deluxe Vaporizer, a sleek little vape pen that’s ready to go anytime, anyplace. It is designed with a one-button activation system that’s ready in a flash. One of many ways that this vape distinguishes itself from its competition is with its Mag-Secure charging system: you don’t have to take the pen apart to charge it. Plus, with its bottom-feeding atomizer you get way more vapor and much less waiting time after refilling. *Color-coded button and base lights. *Comes with a carrying case. *Comes with a six-month warranty. *Fast heat-up time (five seconds). 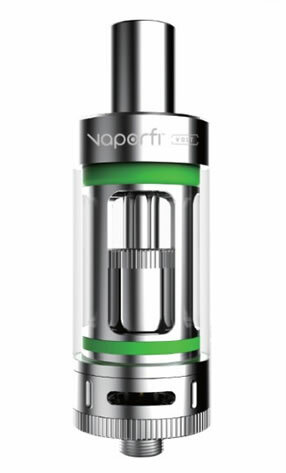 The advanced oil tank on the Vaporite Sapphire makes filling super-easy and gives you incredible vapor. It’s also outfitted with a high-quality battery that provides hours of use between charges, which is handy if you’re a person who is constantly on-the-go. Even at this low price, the retailer and manufacturer still stand behind this device by providing a 90-day warranty on the battery. All-in-all, the Vaporite Sapphire is an excellent, reliable performer that provides superb value for your minimal investment. *Clear tank so you can easily see how much liquid is inside. *Available in five colors, including hard-to-find colors like red, blue and green. Yes, you can vape for less than $20! Not only that, but you can do it in style and stealth with the VaporFi Air 2 Mini Vaporizer. Like the VaporFi Pro 3 featured previously, this economical device also features mouth-to-lung technology that makes your vape experience feel more like cigarette smoking, but without all the nasty stuff. In addition to the sleek Air 2 vape, your $19.99 also gets you two extra stainless steel atomizers. If you don’t want to be limited to vaping e-liquid, you can opt to purchase a five-pack of oil atomizers too, or see number 8 for an even more amazing deal. *E-liquid atomizer is also compatible with oil. *Designed with over discharge protection. *USB charger with wall adapter included. Why limit yourself to just e-liquid? 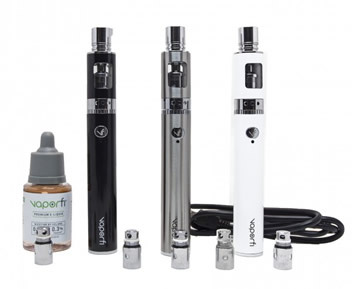 Get both the e-liquid and oil option in a single kit with the VaporFi Air 2 Oil Mini Vaporizer Bundle. It comes with everything in the previous description plus five high quality VaporFi Air 2 1.1 Ohm oil atomizers. PS: It’s even cheaper than buying #7 and adding on the 5-pack of oil atomizers option. Why wouldn’t you buy this kit? *High quality wicking material made from Japanese organic cotton. *Greater surface area on wick. More contact equals more vapor! *Great for both new vapers and experienced vapers, especially those who like vaping oil and e-liquid. No need for a separate device.